If you are familiar with the world of Time-Management, you’ve probably come across The Frog Task. There’s a nice introduction online to what it means to eat the frog, and if you think this isn’t enough, there is also an entire book you can go to! However, the way I learnt about the Frog Task, is not the definition linked above. In fact, the way I learnt the Frog is not the first 7 links google came up with. I first came across the Frog during my time-management workshop by Dr. Matthias Mayer at my university almost 2 years ago. In this workshop the Frog Task is a task that brings you forward. A Frog that leaps to bring your work ahead. The idea being, have a slot every day for work that brings you most forward. Having done that, you know you are making progress every day. If you are still reading this post and haven’t gotten deviated by one of the links above, let me start off by what the ‘Frog Task’ is to me. I emphasize to me, because my definition of the frog is different from both the definitions of the Frog task above. Against popular belief, this is not a task I have been procrastinating. In fact, I’m not a good procrastinator at all. I like getting stuff done. My Frog is also not a big task or sub project in itself that I need to just swallow. It’s not something that can or needs to be done everyday. What my Frog is, is the task that takes me most forward in my research. Its what jumps from just doing one task after another. Its not a slimy animal I have to gulp down, but rather a jumpy amphibian that makes the leaps for me. Why did I need the Frog? I caught myself having lots of days where I did everything I ‘had to’ do for my job, team, even my own project, without the project actually moving forward. At some point over 2 years ago I started noting down how I feel about my progress every week. I measured this progress on a number of parameters. Not just a general work progress but very specific notations about how I was moving forward (Don’t roll your eyes, I am a researcher. Its a shame I didn’t do this on a rating scale). In fact, I didn’t just do this for my work but also my private life, which I was struggling to balance with my PhD, and my progress at learning German (the challenging side project I started after starting my PhD in Germany). What does my Frog look like? This is something I really had to learn. My time-management coach Dr. Mayer, from the first paragraph above, explained to us how 80% of work is done in 20% of the time. For months after this workshop I still had trouble accepting this, although it was always there at the back of my mind. Over time I realized what the tiny things were that definitely didn’t DO 80% of the work, but made 80% of the work much easier. Like a click somewhere that fits everything else in place. For e.g. analyzing a set of data is tedious. This is 100% work. But if you know exactly how you will analyze it, which program, what commands, what graphs, then…you just have to do it. Once the how is clear, the execution will be surprisingly easy. In this case, the figuring out how would be my frog. How many Frogs can there be? As many sub-tasks as there are! Fitting my entire analysis into one frog seems unlikely. The entire analysis can be broken down into sub-topics I need to cover and each of them can have a frog. 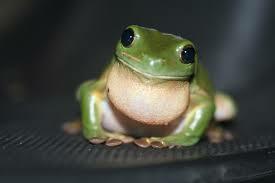 The frogs can also be descendants of each other, giving birth to one frog after another. Let’s take an example of this. Suppose I need to do a literature search on visual search paradigms in ADHD and Autism (ASD). Maybe one frog can just be to collect all the papers there are, and sorting them into sub topics. This does not take time but makes the rest of the work much easier. Say at the end of this search I have 4 categories – standard paradigms in ADHD, standard paradigms in ASD, novel paradigms ADHD or ASD, and Comorbid ASD+ADHD studies. At this point its easy to get lost in the world of reading papers. To prevent that, I can say a frog is to write down, per category, a 2 line summary of trends and details of the articles that directly lead to my study. So my frog isn’t done till I read all the papers in that category, but it also means I don’t waste time just reading pointlessly. If I come across an article that is interesting but the abstract already tells me it won’t get me closer to my frog, I can keep it aside for reading in non-frog time. While typing out the example above I thought, hmmm but isn’t that how I always did my literature search? Is a frog just a cute, slimy name for ‘time-bound priority setting’? No. I could set priorities and time them. The frog takes these priorities and identifies how to make them easier. It helps you accomplish the task and makes you go around feeling better. The only way my version of Frogs is similar to the conventional definition is that in both cases, the job of the frog is to make you feel motivated, and more accomplished. I would even go as far as to say, it organizes the mind for more fluent ideas. While defining goals and tasks make the work manageable, frogs are the jumps and leaps in between these tasks. What actually takes you from one task to another. In the above example, reading everything ever published on a topic doesn’t give me the sense of accomplishment, nor does it take me forward. Knowing what I read and how I can directly use it for the task at hand does. This is totally task dependent. Sometimes I need the leap first thing in the morning and then continue trotting along the rest of the day. Sometimes I need to end a day with this leap – keep everything ready to start running first thing the next day. It also depends on your own circadian rhythm. Maybe you are someone whose peak energy is in the middle of the day or a night owl who works till past midnight. You may want to place your frog elsewhere then. Occasionally my frogs leap steadily over a whole day, in slow mo. They may even jump in the tram, or in my dreams! No. I found the entire of my testing period was pretty much just going into the lab and testing. Multiple times a day. For this entire time period frogs were not very useful. You may come across tasks that just need to be done, at a certain time, in a certain way. Mechanically unless there is an issue, and then you can only rely on your wit. However, before and after such phases start, frogs are a useful transition tool. I have now made frogs a part of my everyday life, particularly in high stress periods. I realize the ultimate deadline can be made less scary and the mundane every day life made more motivating by adding some frogs. I now typically have daily and weekly/periodic frogs that make sure I’m jumping regularly. 1. Identify tasks you do everyday and flag the ones (maybe in your to-do list?) that you thought got you significantly ahead in your work at hand. 2. Look at which of these flagged tasks took least time with maximum output. These are your Frogs. 3. Now that you have a pattern of what your Frogs look like, start placing them strategically to maximize your feel-good points. 4. Keep trying and playing around with your schedules, tasks and frogs. It takes some fine tuning. 5. Enjoy leaping with Frogs! Previous Post:Researcher Ramblings: Of Role-Models and Women Researchers.